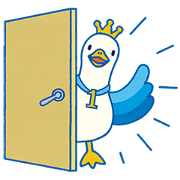 Give a warm welcome to the newest addition to the Aflac family, Ichiban Duck! Old favorites Manekineko Duck and the Black Swan Kids also join in the fun. Friend Aflac’s official account to get the set for free.